This is an amazing opportunity to purchase a one of a kind development property at an excellent price! This 23.5 acre parcel is shaped like a horseshoe and touches the newly paved Hatillo road in 2 places. Access doesn’t get any better than this. And even though it is close to town and the beach, it is surrounded by jungle and has a very private, secluded feel to it. There is also a creek that touches the back corner of the property. The lower part of the property is all flat, and then it is gently sloped up where there are many large buildable areas with amazing ocean views. 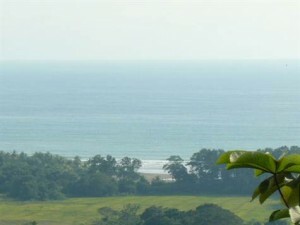 This property is perfect for a hotel or condos due to the location, view, and totography. It could also be a mini development with at least 6 lots, or it would make for an amazing estate with plenty of room for gardening and animals!! The property already has an internal road and the power and water touch the bottom of the property. There are numerous fruit trees planted throughout the land. This property has it all, access, views, location, infrastructure, and privacy. The seller is very motivated and has just recently made a drastic reduction in price. This is a great opportunity that shouldn’t be missed.